Today’s dynamic financial planning profession that you are about to embark on is so dramatically different from the one; I started off way back in the early 80’s. Consumers are exposed today to a myriad of financial products and are constantly getting more and more new products to choose from. Your role to make sure that customers benefit from the chosen product and making their money go further is the most important service that you will be performing in this highly challenging world of finance. MFPC’s education goals are clear: It is Pathway to Professionalism in the field of financial planning. 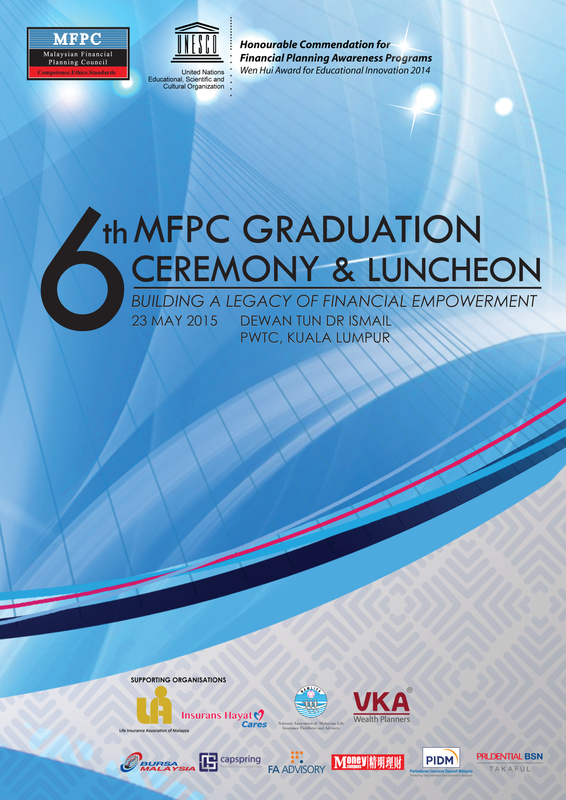 At MFPC, the quality of our courses remains our most important corporate goal. Today, I would like to once again reaffirm the council’s commitment to ensure that standards are maintained and enhanced. 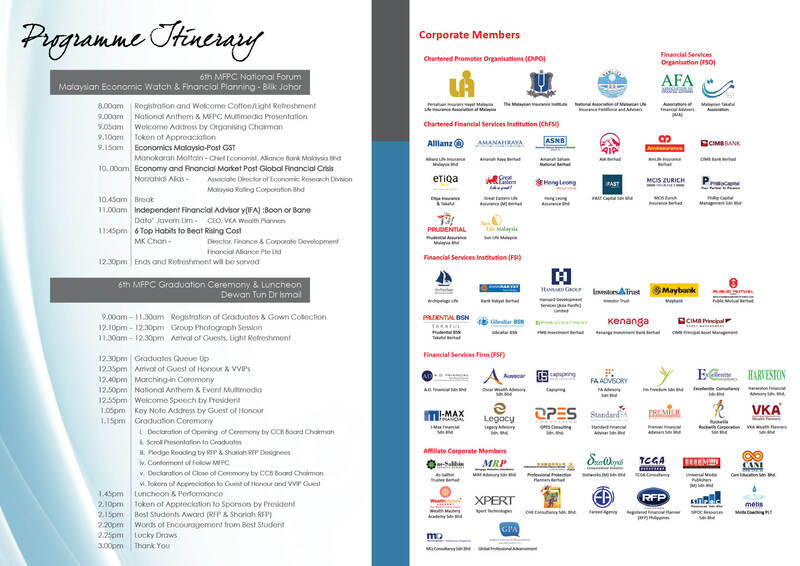 For those who are still not very familiar with us, our premier financial designations RFP was launched by YBhg Tan Sri Dato’ Seri Zeti Akthar Aziz, Governor of Bank Negara Malaysia in 2004. 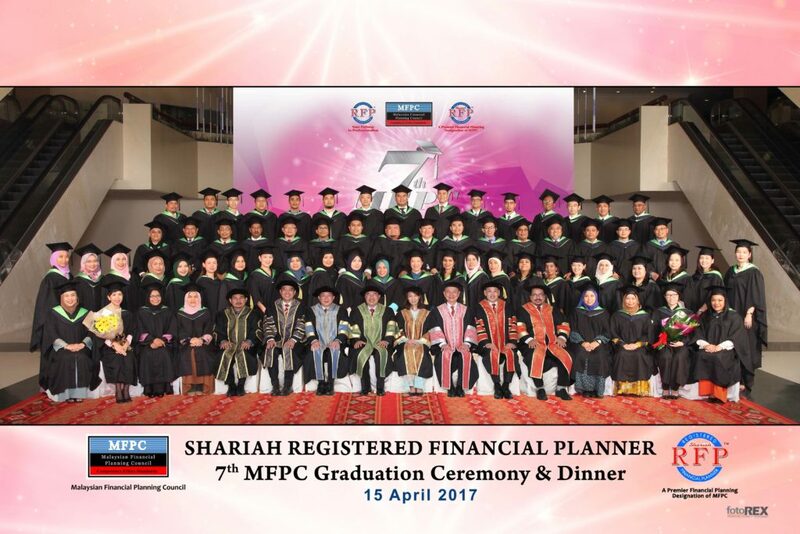 Subsequently in 2008, our then Minister of Higher Education YB Dato’ Seri Khaled Bin Nordin launched the Shariah RFP programme. Ever since then our credo remains to ensure the propagation of financial planning knowledge and to instill awareness to elevate financial literacy of Malaysians! Our RFP syllabus defines financial planning as a process that determines how people can best meet their life goals through the proper management of their financial affairs. The key to effective financial planning is the ability to take into account all relevant aspects of the person’s financial situation, and to identify and analyze the inter-relationship among sometimes conflicting goals. In addition, to achieve any goal, there is of course a need for a distinct plan and in our Module 1 of the RFP program, a scenario is provided where planners would be required to decide on one or two right product or products for a client. As you know, financial planning is about a unique integration of knowledge and skills across a broad range of fundamental topics – financial management, tax planning, asset management, risk management, retirement planning and estate planning. This distinguishes professional financial planning from most other financial services that is provided in the marketplace. So, a proper and serious RFP certified financial planner has to holistically incorporate and integrate this six step process into his/her work and services. 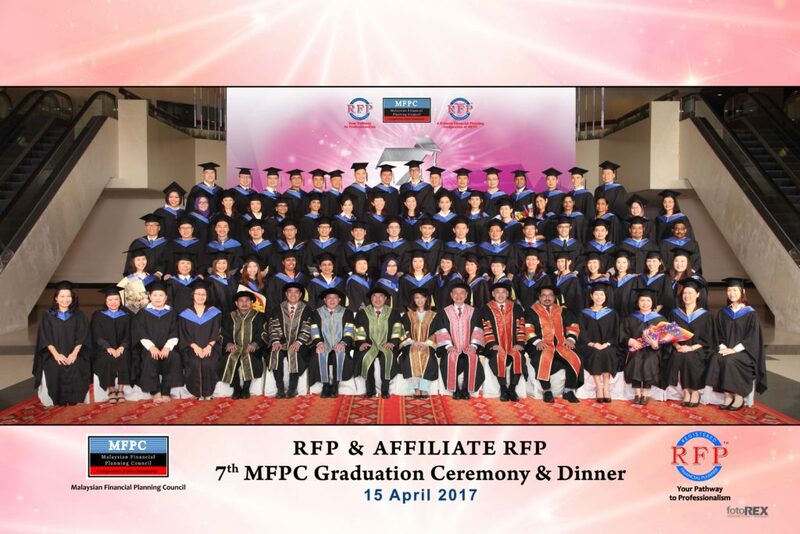 MFPC 7th Graduation Ceremony & Dinner (15 April 2017) .